Single song available through digital download. Released on 2/14/19. This fun acoustic dance song has touches of retro influences. 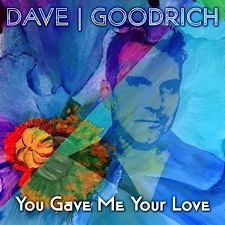 Dave Goodrich provides jubilant vocals, buoyant guitars, snappy quasi Latin percussion, and sultry keyboard strings. Engineered by Dave Goodrich. Electric bass provided by Rich Amoruso. Mastered by Sage Audio.